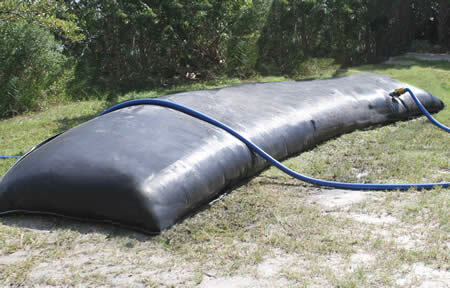 Intake Accommodates Hoses up to 4"
The dewatering filter bag is an economical filtration product most commonly used for storm water runoff, dredging, and construction site filtering. Filter fabrics used on the bags allow for sediment and silt to settle inside of the bag, while clear water drains out of the bag's needle punched pores. This has helped clear out settling ponds and contain silt during dredging operations. 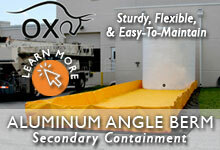 Accommodates Hoses up to 4"
Each dewatering filter bag features one intake that can accommodate hoses up to 4". For larger intake or custom sized bag, please do not hesitate to contact us with your requirements. The silt and sediment dewatering filter bags are a manufactured filtration product designed to help with the retention of debris and contaminants in multiple water collection sites. Bags have been used for both large and small jobs to help keep runoff clean and filter materials from your site. These products are often used as part of a Best Management Plan (BMP) to keep runoff clean and meet NPDES clean water requirements. As part of a site dewatering plan, filter bags are often placed in dump trucks and transport vehicles while sediment is being retained. Once complete, trucks can be drained of clean, excess water and sediment-filled bags can be moved to dump locations. View all our Filtration Products.